Hammock camping is a new trend as it’s easy, convenient and more enjoyable than the traditional tent camping. Short plants forest with average rainfall rate, less mud, and swamp in Europe are perfect for hammock camping trips. At night, you will have a perfect view for stargazing and so romantic atmosphere for any sort of activities. In Belluno Dolomite, Italy or in Plitvice Lakes National Park, Croatia, everything you can camp, you can sleep in a hammock. But there some tips, or precautions you should practice to ensure safety during a hammock camping. It is the most important thing you need to remember to have a safe and enjoyable hammock camping. The trees are the foundation of your hammock. Dead trees are weak and vulnerable – they can’t stand the weight of you and your stuff. If you tie your hammock to a couple of dead trees, even only one of them is dead, chances are they will break. Then, you will fall off to the ground. It’s hurt and dangerous!. It can damage your belongings, and some sharp points or pieces can stab you. Also, the hammock can be tattered, thus becomes useless for the rest of the journey. Dead trees are not usable, and neither are unequal trees. Many people don’t like hammock camping because they don’t feel comfortable to sleep in a hammock. Space is narrow, so you can’t easily turn right or left. So, if you choose equal trees, you may be leaning toward the right or left. Your hammock can even be turned into a seesaw. It’s a terrible feeling! This is why you should hang the hammock onto a pair of equal trees. It ensures a balanced shape and angle. Your breath and blood circulation won’t be affected. As a result, you will feel more comfortable and have a nice dream. The good point of hammock camping is compact, convenient, and minimal. Most of your stuff now will be stored in the backpack hanging up onto the hammock rope. Other small valuables will be kept inside the hammock. So, it’s ridiculous and impossible to bring your hair dryer or 4k TV. Fewer items also mean less burden is putting on the hammock and the trees, so less risk of snapping and breaking. Therefore, you need to pack as light as possible to have a safe and successful hammock camping. 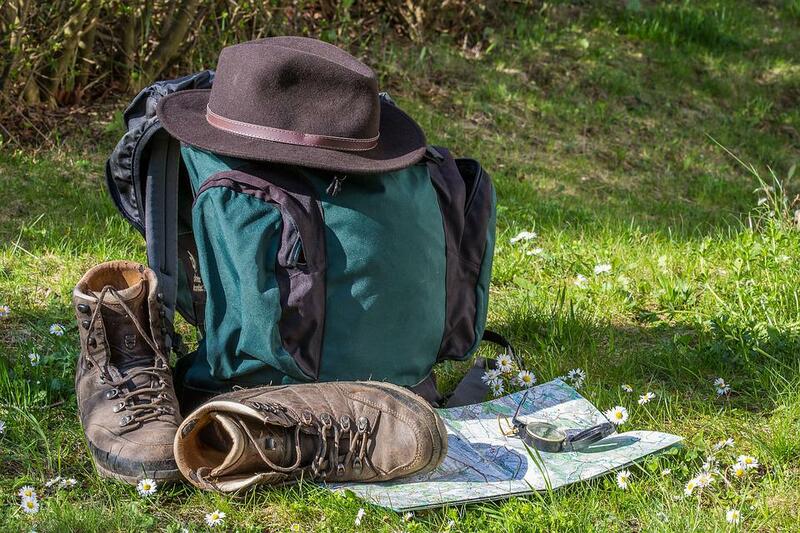 To pack light, you need small but versatile tools. One of the most necessary item for a hammock camping is a tactical flashlight. As other lights, it provides visibility in dark conditions. Thanks for it you can build your shelter or prepare food when the sun is set. But it isn’t a normal flashlight, it’s tactical. That means it has more, almost survival, uses. A police flashlight often has a solid body with a serrated bezel. You can use it to fight against the intruders. With the sharp bezel, any wild animals or bad people will be scared away. Moreover, a good police flashlight can perform digging, hammering, and other tasks to survive in the wild. If you want a self-defense option, don’t bring a gun but a knife. Travelling with a gun is complicated. It requires lots of certifications and commitments. Some countries and states may not give you a permission, too. A knife is smaller, easier to conceal, and more useful. Aside from self-defense, a knife can help you tackle any tasks, even the heavy ones. If you buy one of the best EDC fixed blade knife in the market, you can use it for preparing food, cutting ropes or plants, and making tinder. If your specific conditions require more heavy duty tools, a Mora knife or a bushcraft knife is suitable. To hunt animals or to build the shelter, those durable and powerful knives will give you a hand. Spyderco is a famous brand of knife that produces the most reliable and effective knives. Check here for a list of the best Spyderco knife in the market. 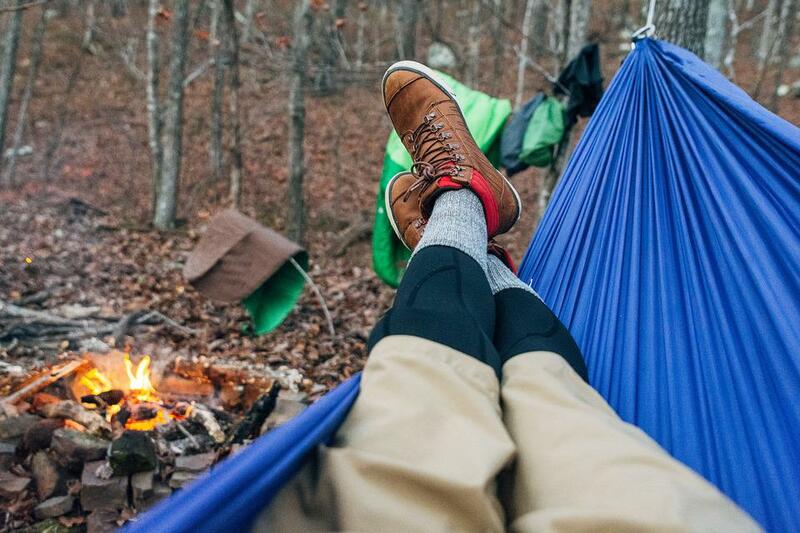 Wearing more layers of clothes is vital for your health either you are in a tent or a hammock. During hammock travel, it is more important. Modern hammocks always have thick layers of anti-cold materials. It can keep you from the freeze of rain and snow. But for more guarantee, you also need to protect your body. Give yourself a pair of socks, a wool hat, and a scarf. You should wear an extra sweater and long, thick pants to warm your entire body. The warmer you are, the better your sleeping and health are. A tarp is a thick layer of waterproof material that lays above your hammock. This roof will protect you from rain, snow, leaves, or even bugs – things that will fall down from the sky. It ensures you a good and undisturbed sleep. It stops anything trying to hit your face. It keeps cold water and snow away from you. Moreover, you can use it to wrap things when not in use. This will protect your small valuables and stuff that can’t be wet. 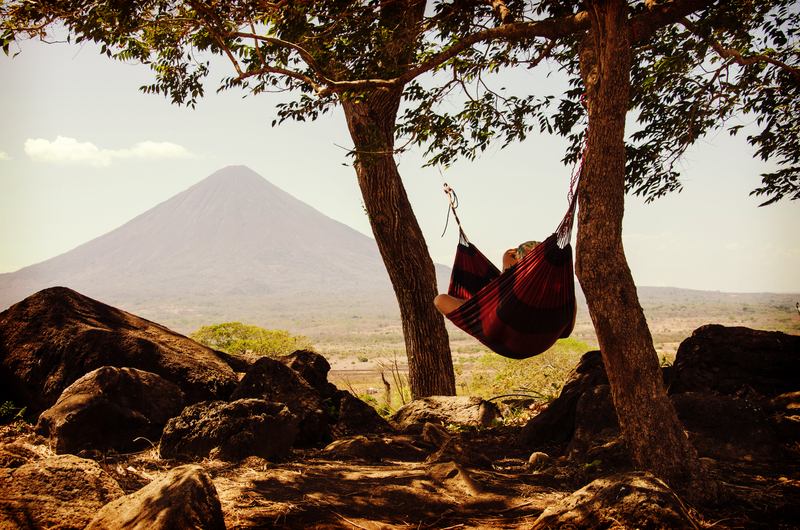 Hammock travel is proving to be more exciting, enjoyable, and become a new trend among dedicated travelers. But if you go on the way without basic knowledge about safety, you will risk your life. Never hang your hammock on dead trees or unequal trees. Pack as light as possible to reduce the burden, wear warmer and use a tarp to protect yourself from environmental threats. By following these tips, you may have a remarkable, safe and enjoyable hammock camping ever in your life.